David Powers King: Pop Travel Cover Reveal / The Caged Graves Release! Pop Travel Cover Reveal / The Caged Graves Release! So, about that Storymakers recap ... it's literally going to take me a week to write up this post (I took notes), so I'll have the action up this Friday. Until then, I have a new release, a cover reveal, and new members that are screaming to be shouted across the Blogosphere! I should also mention, this is my 500th post! Celebration time! 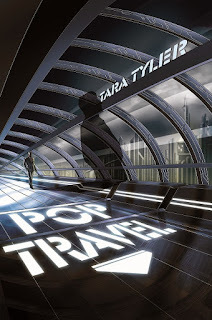 First up is the cover reveal of Tara Tyler's sci-fi novel, Pop Travel! To stop the disappearances and save his brother he must shut down the ruthless mega corp Pop Travel International (PTI). And that means convincing Hasan Rakhi, the celebrity Creator of pop travel, to publicly admit the deadly flaw. No problem. Under constant surveillance, Cooper will have to be unpredictable, facing his fear of popping to crash a party at Hasan’s well-fortified plantation compound. Yes, the laser fences are real. As long as he survives his next pop, Cooper won’t let anything distract him from getting the job done. Not the android security guards, who aren’t as bright as they look, or even Southern Comfort in a purple dress, Geri Harper (an undercover Agent). Nothing Coop can’t handle. Save the date - Pop Travel is coming your way, July 7th, 2013! Up for creepiness? 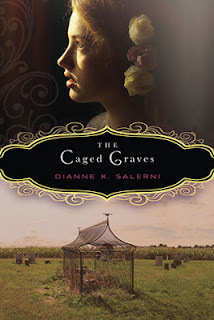 Dianne K. Salerni's The Caged Graves is here! Let's have a hearty, starship-trooper welcome to our latest three newcomers! Go say "hello" while I collect their matched luggage. Update: If you're fuming mad for being lead on about a Storymaker post, you gotta believe me ... it's really THAT epic - but I will share a couple tidbits. Because of the demand, Storymakers will be in Layton, Utah next year, April 24-26. I had the chance to share some work with an author, and he gave me an invitation that I would be stupid to not follow through on. For that reason, I'm book'n it for the rest of the month to get The Undead Road finished! I'll keep you posted. Storymaker post Friday (promise) and a game review Wednesday. Until then, keep the axels greased and the swords sharpened. Congratulations on five hundred posts. and to Dianne as well! Congrats on the big 500 dude! Tara Tyler wins for best looking cover art on this post...a milestone in two aspects! The youtube video's hilarious! Especially when the man's really blowdrying his hair. Can't wait for Pop Travel. I'm proud to say I was one of the 'early fans' for this book way back *nods proudly*, Tara knows I'm crazy ready for it to arrive. Congrats on reaching 500 posts David and thanks for the shout out and The Caged Graves sounds super creepy. Oh and I was wondering what you thought of my decision to focus on self-publishing. Hi David .. congratulations on 500 posts - that's brilliant ... and then Tara's cover art - looks like a poster .. I love it. Then Dianne's Caged Graves - looks interesting too .. I've read about The Caged Grave. It sounds very interesting. I'll be looking forward to the recap! Congrats on 500 post. The transportation gone wrong is very intriguing. I wonder what was left to find. Cover looks great too. Congrats on your 500th post. And so excited for Dianne! Congrats, David, and it was so fun to catch up with you at the conference this weekend. I'm excited to read both of these books! Can't wait to hear about it! Both those books look awesome! The Pop Travel cover is neat. Of course, now I have the song Pop Muzik in my head. David, Thanks for the shout out about the release of The Caged Graves! I am excited to see the book finally out! I just want to brag a bit and share that the photo of the caged grave on the bottom is my husband's work. I'm so tickled Clarion/HMH used his photograph and gave him credit. Congrats on 500 posts. That's a lot of work. I think Caged Graves sounds really cool. I love Tara! So proud of her! And holy 500 posts... phew... epic, DPK. EPIC.